Beds made of wood and plastic have been the preference of many for a very long time, surpassing the demands of jute beds. But, in past few years, jute industry has received a boost, with the implementation of various policies by the government. In line with this, jute products have seen an increase in their demands all around India and other countries. 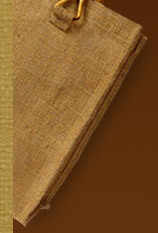 Popularity of jute products can be determined by various trade fairs being held in different nooks and corner of globe. Today, there are a large number of jute products manufacturers, completely involved in catering to the needs of the market for jute made beds. 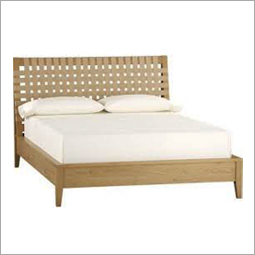 One can easily avail these beds in a variety of designs, patterns, sizes and shapes as per the requirements. For meeting specific preferences of customers, there are many firms, which are offering customization facility of jute beds in sync with the drawings, samples or specifications detailed by the patrons. These jute beds made up of jute are extremely comfortable to sit or sleep on. These are extensively used in various homes in the rural areas of India, Pakistan, Bangladesh and many other nations. Today, one can also see use of these beds in various rural theme based restaurants, guest houses and village resorts for providing comfortable sit with traditional looks. Jute made beds are collecting lots of appreciation from various parts of the world due to their aesthetic appeal and having eco-friendly nature. Features like attractive designs, eye-catching patterns, enthralling looks, lightweight, fine finishing and longer service life also makes jute bed widely demanded in varied nooks and corners of the globe. The soft and silky touch of these jute beds make the body get relax quickly. Further, owing to having a perfect blend of beauty, comfort and style, jute beds are extensively appreciated among customers.